Heron Lodge is the tasteful conversion of a Tudor Style country house in the heart of the beautiful Norfolk Broads at Wroxham, a popular but sedate village next to Hoveton. The home, catering for up to 30 residents, is set in well-maintained landscaped gardens and is a short distance from one of the premier boating areas of the Broads. With a warm, cheerful and relaxed atmosphere throughout. 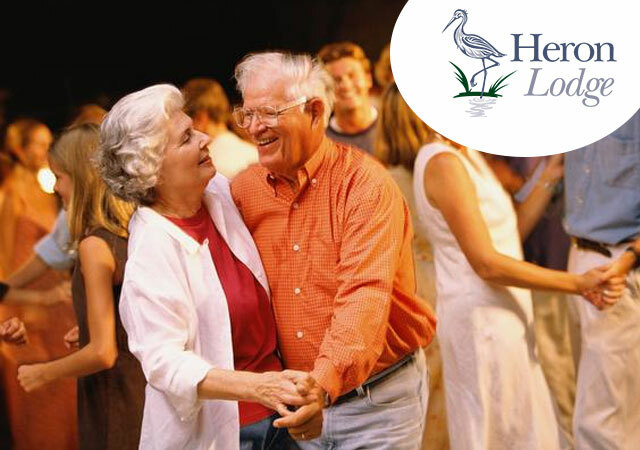 Explore the services provided at Heron Lodge, which are designed to make every resident’s stay a pleasant one. Heron Lodge is the tasteful conversion of a Tudor Style country house in the heart of the beautiful Norfolk Broads at Wroxham,Norwich. Don’t worry if you cannot find what you are looking for; you can contact the home by telephone or email. We will be more than happy to help you with any questions that you may have regarding care for the elderly. Being diagnosed with a dementia can be a very difficult and confusing time for the individual and their loved ones and it is only natural to feel anxious about what life in the future will be like. At Heron Lodge, we strongly believe that the transition into our care should be smooth and carefully monitored in order to minimise upset to the individuals and their families. Whether it is a friendly face, a warm smile or taking time to listen, making a positive difference to someone’s day is part of our daily routine. We welcome and encourage our residents to make their rooms here as homely and personal as possible, furnishing them with their own belongings to create a space to feel safe and happy in. Paintings, a favourite ornament and plenty of family photographs can all be of comfort and calm unsettled feelings. At Heron Lodge there is no typical day. We actively encourage all our residents to take part in the usual daily activities as well as extra activities of their choosing, which can help to keep life fun and interesting. We provide the opportunity to do as much or as little as people wish. Our care is focused around each person’s individual needs and wishes and we value and respect how each person chooses to spend their day. An optional programme of activities, individually tailored to each resident, follows breakfast. These may include regular visits from the hairdresser, chiropodist, and therapists; as well as visits out for movement, exercise and music; flower arranging, skittles and the church. Other activities include card making, jigsaw puzzles and board games. There are organised and impromptu trips throughout the year including evenings out, sing-alongs, summer BBQs, themed events, as well as all the usual annual celebrations such as birthdays, Christmas and Easter. Spending time in the garden is one of the most popular pastimes at the house. Alternatively residents can spend time with family, relax in one of the spacious communal areas or in their room, watch TV, read a newspaper in the garden, play games, have one-to-one time with staff or chat with other residents – the choice is always theirs. Families and friends are welcomed at all times of day and residents are encouraged to maintain social contacts prior to life at Heron Lodge. The enthusiastic, caring staff are always on hand to be with residents at any time throughout the day and are compassionate about helping individuals to do what they enjoy. They are encouraged to be impulsive, to swap stories, to laugh and cry with the residents, whilst residents are encouraged to follow their own interests and make their own decisions. For lunch there is a choice of mains and desserts and we invite the residents to help set the tables if they wish. All food is cooked on the premises and is made both with health and taste in mind – menus are available on request. Mealtimes are a sociable time, and staff are skilled at getting even the quietest residents to be involved in activities and conversations. Many residents enjoy helping out around the home with dusting and other chores and have a lot of input about all the choices made within the home, such as potential staff, conversions, additions and decoration. Individuals may want to listen to their favourite music, have some ‘me time’ or share their experiences with others. We want them to relax and feel at home, without conforming to routines. Suppertime is a choice of hot or cold food, with at least two choices of main and dessert. After supper, some residents opt to go to bed early or retire to their rooms, while others stay up until later relaxing in one of the communal areas. There are hot and cold drinks, alcohol available to those that want it, and NO set bed time, as this is the residents’ home. At Heron Lodge we offer nursing and dementia care, with a warm and homely person-centred approach from a stable and professional team, all trained in providing quality care. Every one of our residents is treated as an individual and given love and attention according to their needs. We believe it is these things that lead to a better and more dignified quality of life. We encourage all our residents to live as healthily as possible. We encourage exercise, keeping minds active and eating nutritious food and our healthy, balanced meals are made from scratch using only the best, locally sourced ingredients. We understand that people’s tastes and habits are different, and we ensure that the varied menu includes a great selection of nutritious delights and individuals’ favourites. Situated in picturesque Wroxham, a peaceful village next to Hoveton at the heart of the Norfolk Broads, Heron Lodge is a converted Tudor Style country house, with nearly an acre of well-maintained gardens. The home has been carefully enlarged and refurbished to bring it up to a capacity for 30 older people, and has a warm, cheerful and relaxed atmosphere. The home is a short distance from one of the premier boating areas of the Broads and serves the wider community around the area, including Norwich, North Walsham, Hevingham, Aylsham and Stalham. Heron Lodge is very well appointed with private rooms and suites and pleasant common areas, dining room and lounges. Installed in the building are hoists, accessible bathing facilities, lifts, stair lifts, wheelchair lifts, call bells and door alarms, and all pressure care equipment is provided, including pressure mats and specialised mattresses. 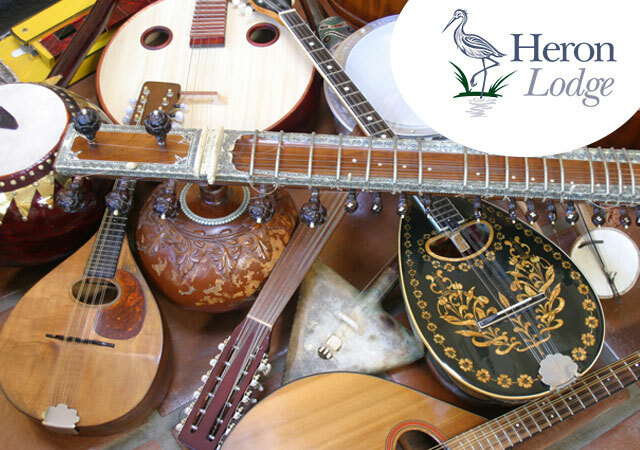 We actively encourage those who are considering living at Heron Lodge to visit and spend some time at the home to gain an accurate perception of the care we offer. You are invited to come for lunch or just for a look around. Staff are around at all times of the day and they will be happy to give you a guided tour and answer your questions. If you would like a discussion with the manager, then an appointment can always be made. 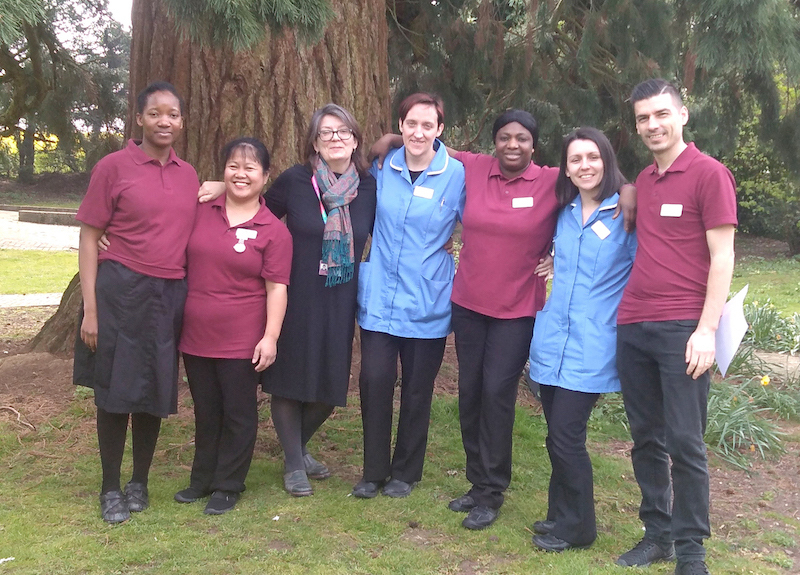 The care team at Heron Lodge are specifically selected to adhere to a person-centred ethos, and undergo a continuous programme of training, on both practical and theoretical levels. Our own training arm, Kingsley Academy, facilitates most of our training. All Friends and Family welcome for Easter craft, and an Easter egg hunt in the gardens (weather permitting)..
Jane Everard – A solo singer accompanied by beautiful piano tunes ranging from War time songs to regular sing a long songs for all to enjo..
Paul Martyn, Variety singer with 1960’s – 1980’s repertoire..
Roland will be coming to sing in an afternoon session of the 60s and 70s on Sunday 17th February, in the lounge from 3pm, everyone welcome. ..
Heron Lodge is pleased to announce they have Celtic Folk fusion band Aartwork coming to play for us on the 21st February. This time around i..